Turea Hutson spoke about the Community Connections program in Montgomery County, and the role of the “Navicate”. She is the program’s manager. Community Connections is an innovative approach to provide services to people who need them most, where they need them most—in their community. Community Connections offices are one-stop service centers in an initial four locations around Montgomery County—Willow Grove, Pottstown, Lansdale and Norristown. 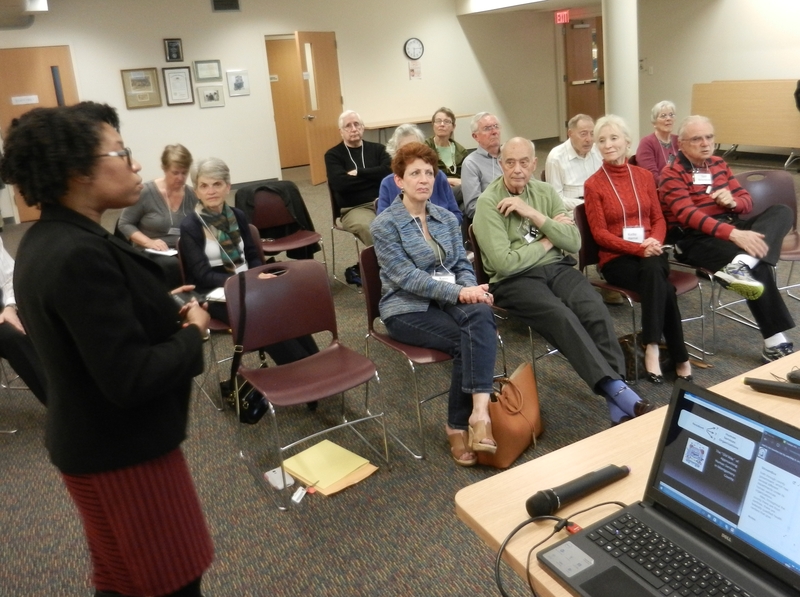 The meeting served two purposes; introduction of Community Connections to MontCo HLAA, and introduction of MontCo HLAA to Community Connections, and there was extended discussion of how our group might be of service to their function.